(Bloomberg) – A panel of South African lawmakers resolved that the constitution needs to be changed to make it easier to seize land without paying for it, the latest twist in a divisive debate over how to address racially skewed ownership patterns dating back to apartheid and colonial rule. The ruling African National Congress and the populist Economic Freedom Fighters, the third-largest party, used their majority in Parliament’s Joint Constitutional Review Committee to force through the adoption of a report Thursday recommending that amendments be made to to explicitly permit expropriation without compensation. The Democratic Alliance, the main opposition, and several other smaller parties complained that the panel didn’t follow proper procedure because it largely ignored more that 400,000 written submissions from the public on the issue. Lobby groups have threatened to challenge the move in court. The wording of section 25 of the constitution needed to be changed to “address the historical wrongs caused by the arbitrary dispossession of land,” the committee said in its report, which was adopted by 12 votes to four. This will “ensure equitable access to land and further empower the majority of South Africans to be productive participants in ownership, food security and agricultural reform,” it said. The potential erosion of property rights and fears of a Zimbabwe-style land grab has added to negative sentiment toward emerging markets and compounded a sell-off in South African assets. The rand pared earlier gains on Thursday and was at 14.3168 against the dollar at 11:42am in Johannesburg. While the National Assembly’s approval of the report is seen as a formality, the process could still be delayed. The South African Institute of Race Relations, a Johannesburg-based research institution, on Wednesday said it has briefed its lawyers about the procedural flaws with a view to seeking a judicial review of the parliamentary process. Agri SA, the farming industry’s biggest lobby group, also said it will consult its lawyers on possible litigation. If the process isn’t derailed by lawsuits, another lawmakers’ panel will draw up revised constitutional provisions that deal with property rights, which could take several months. The committee called for the changes be effected before national elections expected in May. (Bloomberg) – A messy and protracted fight over property rights is looming in South Africa after a panel of lawmakers said the constitution must be changed to make it easier to seize land without paying for it. 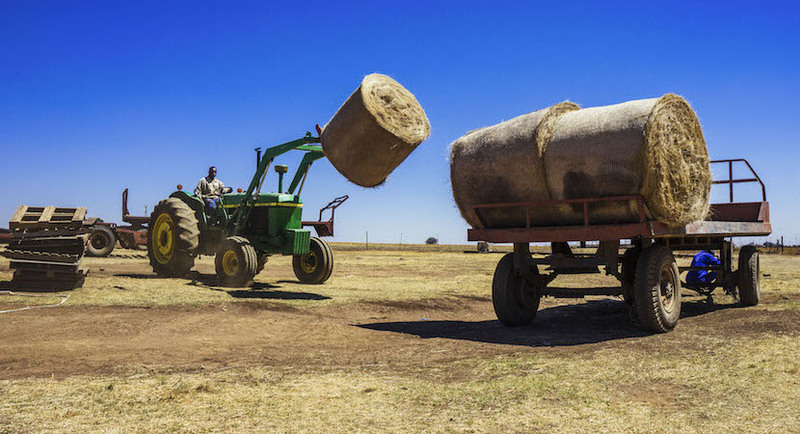 For starters, the South African Institute of Race Relations, a Johannesburg-based research institution, and Agri SA, a farmers’ lobby group, are gearing up to fight the decision in court. They say the panel reached its decision without taking into account more than 400,000 written submissions, effectively negating the required public-participation process. That legal wrangling is likely to go all the way to the Constitutional Court and could drag on for months, if not years. A battle over how exactly the wording of the constitution should be amended is also likely to unfold in parliament. Changes must be drafted by another yet-to-be-established panel and approved by two-thirds of lawmakers in the National Assembly. That means the ruling African National Congress will need backing from the populist Economic Freedom Fighters to push them through. While the two parties see eye-to-eye on the need to accelerate land reform to address racially skewed ownership patterns, their proposed solutions are poles apart: The ANC favors seizing land in very specific circumstances, such as when it has been abandoned, while the EFF wants all land to be nationalised. Even if the two parties do reach consensus, another round of lawsuits is likely to challenge the validity of any amendments they adopt.